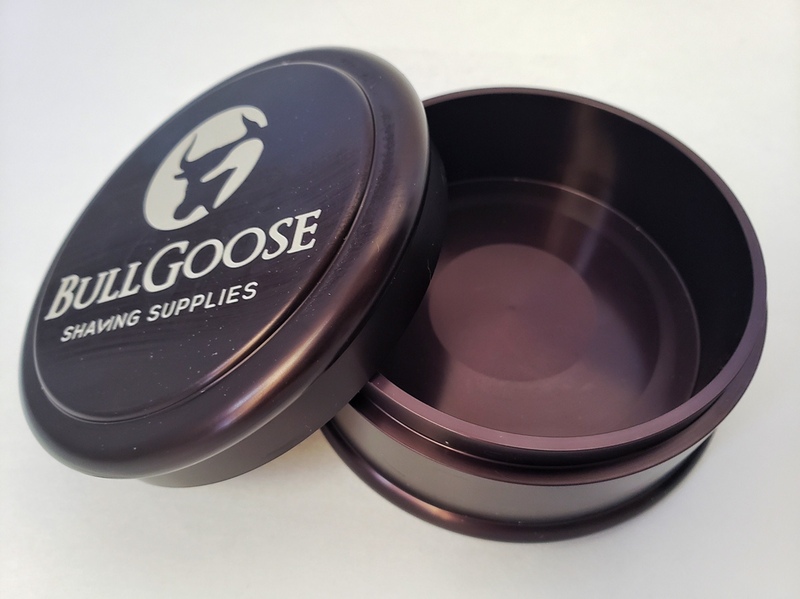 Well , now I need to add the new Bullgoose Shaving anodized aluminum (like the C&S) dish. Most of the current shaving soaps fit on it and I now have the Saponificio Varesino (Asylum) Colonia Shaving soap on it , since add more luxury to the luxury and quality of the dish. And yes , is 75 dollars but I simply love it as I love my C&S Oxford and Cambridge one. 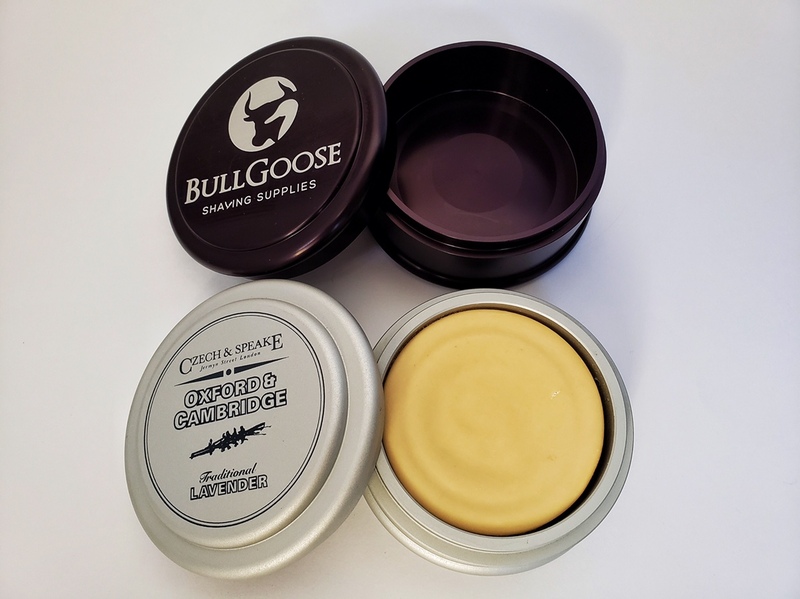 If you are looking to add a very good looking item to your shave den or you’re looking for the indestructible shaving soap dish , look no further. 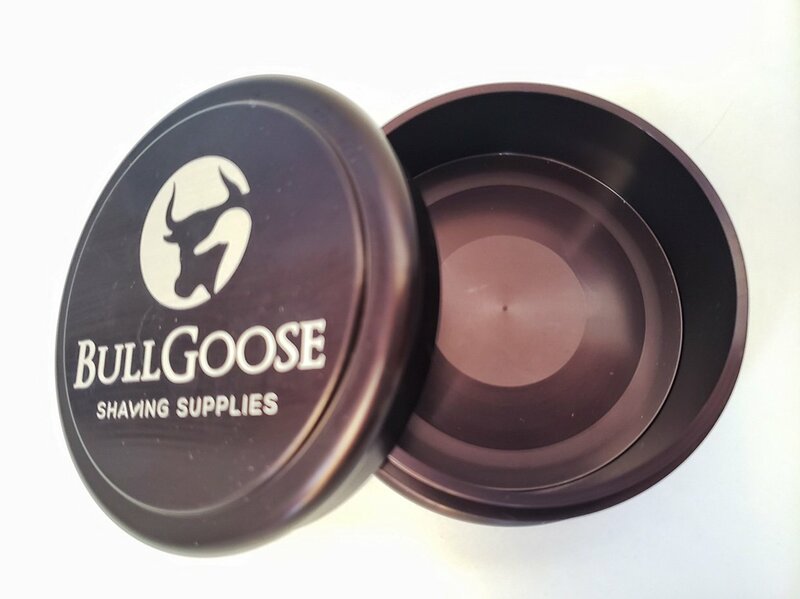 How does the inner diameter of the Bullgoose bowl compare to the C&S bowls? Are they the same size? (12-04-2018, 07:17 AM)vadim Wrote: How does the inner diameter of the Bullgoose bowl compare to the C&S bowls? Are they the same size? The internal diameter is 3.35” and it is 1.050” Deep. Looks like a nice shave bowl but $75 bucks come on! (12-14-2018, 11:45 AM)kurtis Wrote: Looks like a nice shave bowl but $75 bucks come on! $75 is a bargain! Have you checked out the ones from Czech & Speake? These bowls are just as nice as the C & S ones at a fraction of the price. They both are expensive Bull, but hey I hope you sell a lot of them. I agree with everything Teiste said about this bowl. Looks nice but the SV soap fits my empty plastic Maca Body Root shave cream tub and it looks the same when my soap drawer is closed. For the people who bought this, enjoy. By that logic, the Yugo looks the same as the Rolls Royce when the garage door is shut. And they're probably both equally reliable. As a Rolls salesman told me once, "Any car will get you from point A to point B....with a Rolls it's all about the arrival". (12-18-2018, 08:02 AM)bkatbamna Wrote: Looks nice but the SV soap fits my empty plastic Maca Body Root shave cream tub and it looks the same when my soap drawer is closed. For the people who bought this, enjoy. What if you've already arrived? Well , I have arrived too and Im glad I have to soap dish as well as the C&S Oxford and Cambridge one. (12-18-2018, 02:21 PM)bkatbamna Wrote: Enjoy!